It is a very well known fact that rental in Singapore is very expensive especially when you intend to stay somewhere near to the city. 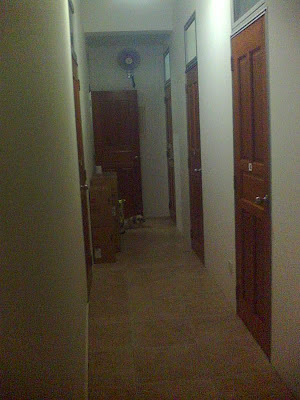 My bro-in-law has just recently started working in Singapore and has rented a room in Jalan Besar. His place is on the upper level of a shoplot, partitioned into a few rooms which are rented out mainly to male foreigners. We need to climb about 3 flight of stairs to get there. I told my bro-in-law that this would be a good exercise opportunity for him. 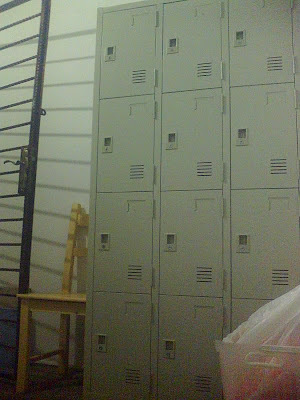 At the entrance, there are metal lockers for the residents to keep their shoes. After entering the main door, I could see rooms that were partitioned for rental. I think there was at least 9 rooms on that floor. There was this cute and friendly shih-tzu tied to one of the doors there and I couldn't help but to interact with it for a while. The room is quite small. With the basic furniture that came with it, there is still some space to move around. Every room comes with a fan and aircond. 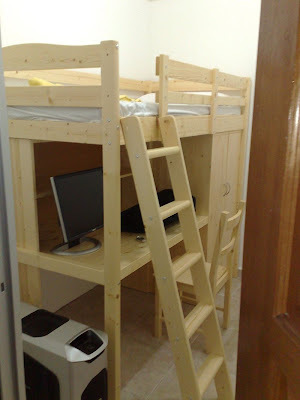 The bed is placed on top of the table and the wardrobe; and it reminded me so much of the same thing that I had when staying in a hostel during my uni years. I actually didn't think it was thaaaatt bad as I have stayed in much worse condition when I first started working in KL. Note: The picture above was taken by Gan when he first helped my bro-in-law to move in. It is no longer so neat now, hehehehe. 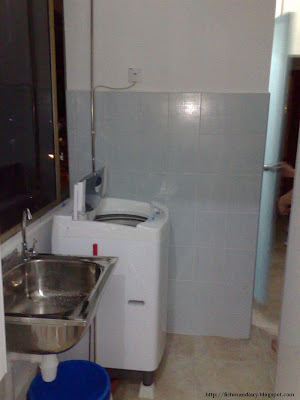 All the residents share the bathrooms (3 of them), a fridge, a washing machine and a microwave. 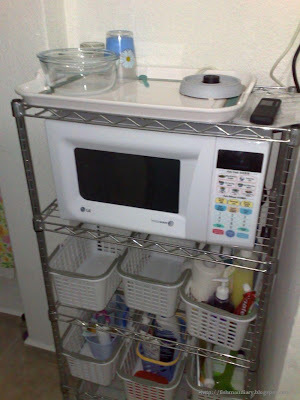 There are also other basic needs such as hot water kettle, iron and ironing board. The whole place looked more like a hostel to me. It does have all the necessary needs of a normal person but it will never feel homely in such environment. 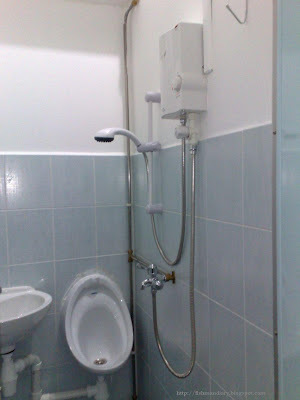 By the way, my bro-in-law is paying SG$700/month for this... which in Malaysia's standard is too damn expensive! Well I guess when we go pursue better opportunities overseas, there are bound to be things that we need to sacrifice. Hope in a long run, all these will be worth it. So, hang on there bro!